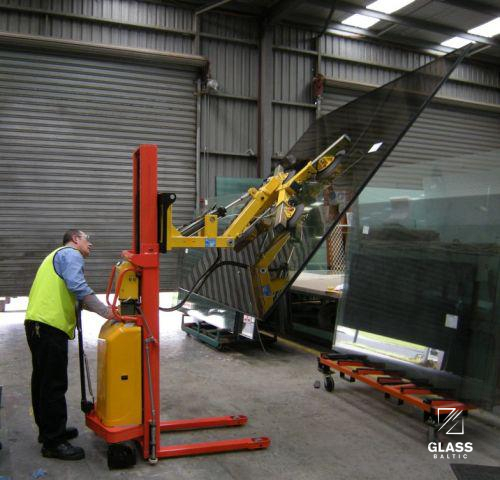 HORIZON 350 - MANUAL DRIVE is a glass lifter designed to assist glass workers to unload, rotate, transport and place large sheets of glass flat onto a cutting table or tempering line. 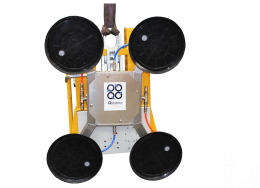 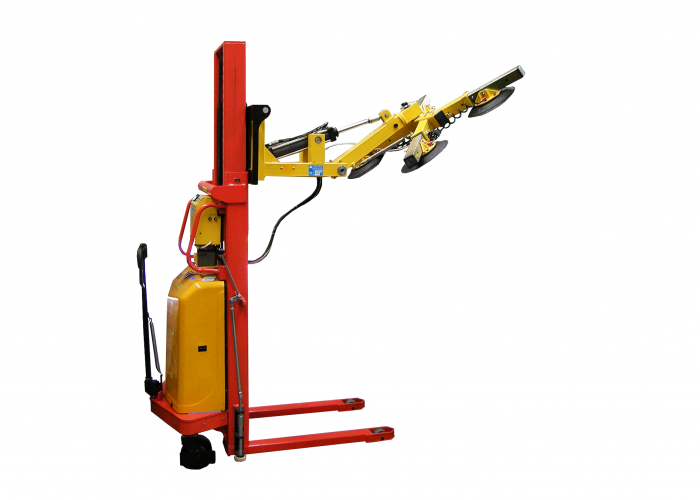 It has a lifting capacity of 350 kg. 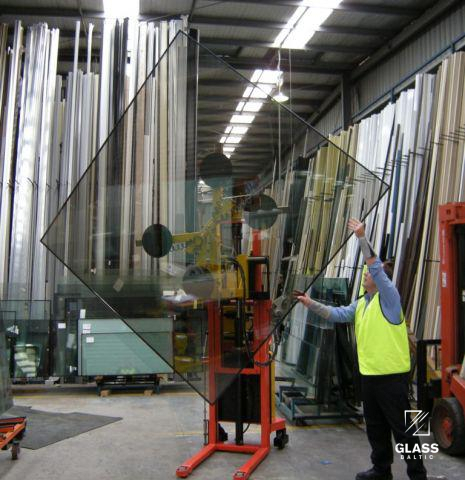 It can rotate glass measuring upto 4400 mm. 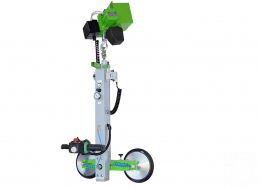 HORIZON 350 - MANUAL DRIVE has a 12 volt battery powered vacuum pump and 2 hydraulic rams. 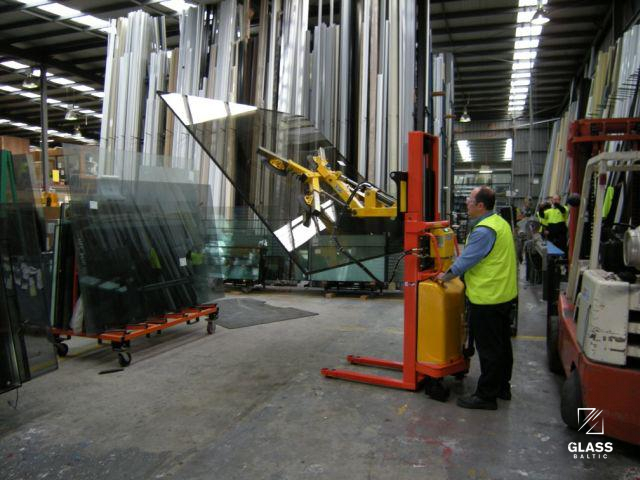 HORIZON 350 - MANUAL DRIVE also lifts and tilts glass to the horizontal. 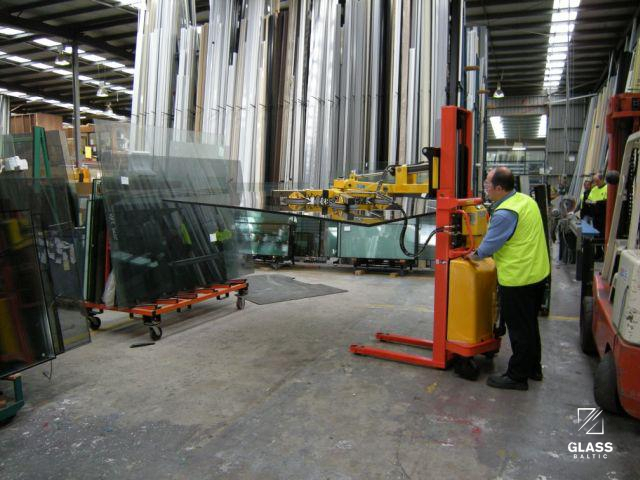 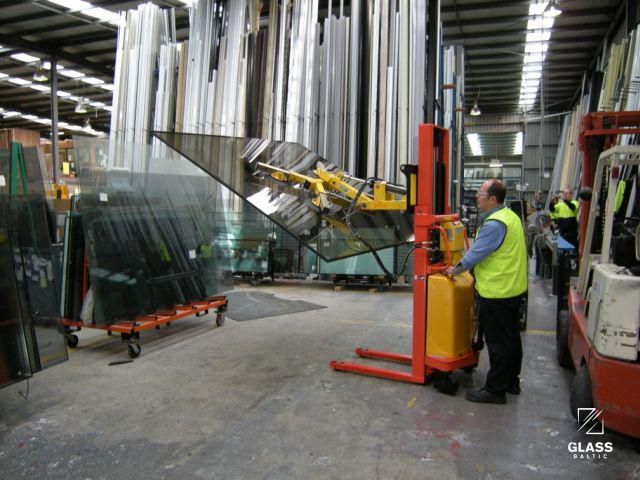 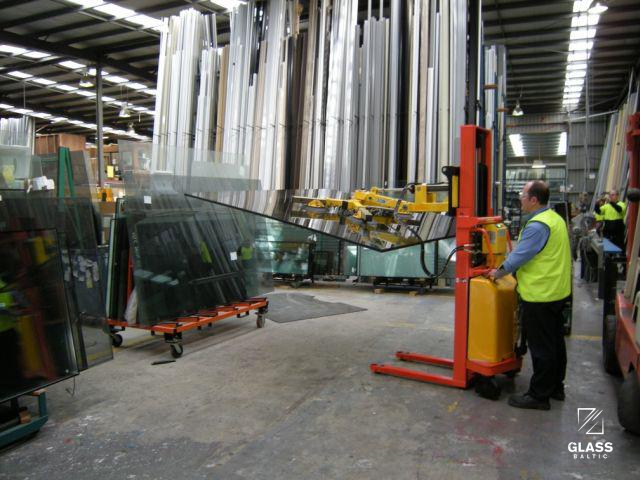 It also allows only one operator to lift glass or an IGU (insulated glass unit) from a rack or truck and then tilt the glass to the horizontal and then slowly and precisely lower it onto a table or into a window frame. 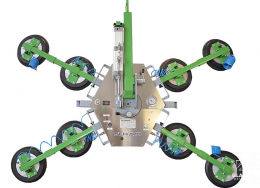 HORIZON 350 - MANUAL DRIVE will allow one or two people to do what used to require four to six people in the past with greater safety. 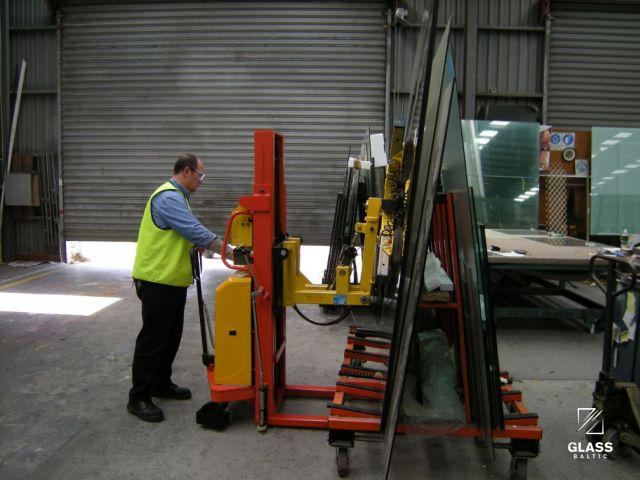 This is perfect for placing ready IGU into a window frame to create a perfect seal. 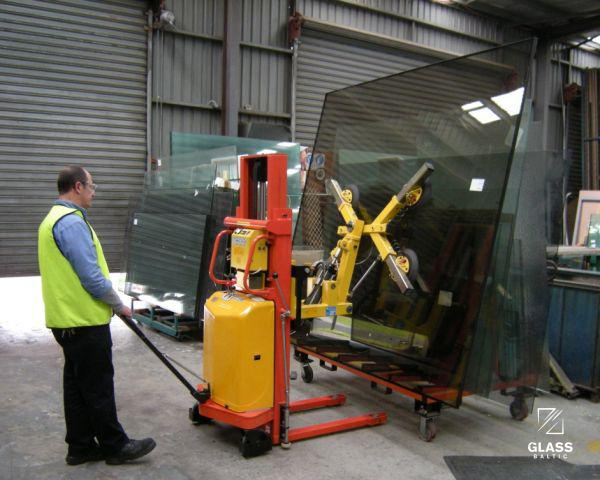 Lifting device can lift 4400 x 2440 mm glass sheets and transport them around your factory with ease. 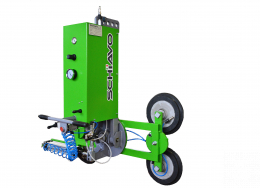 If requested, additionally it can be fitted with a dual vacuum system, adding an extra layer of safety.